True Lake living! 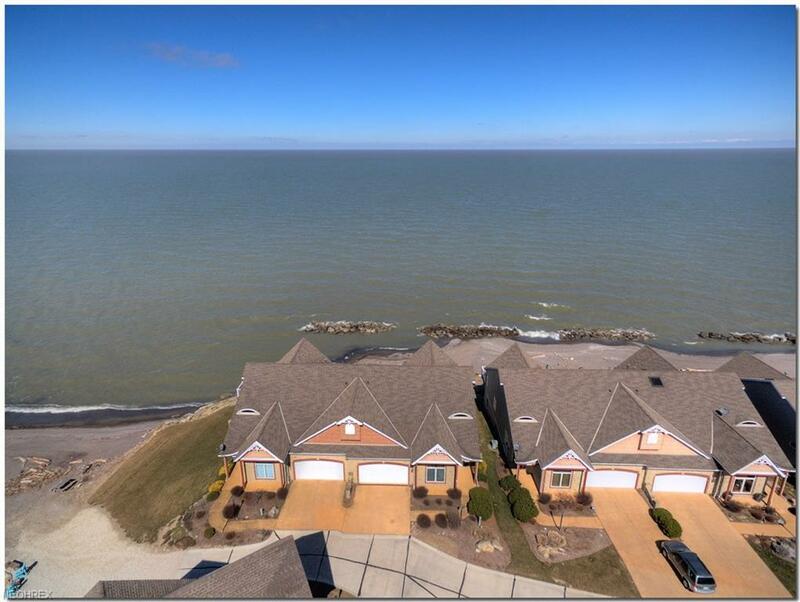 Wow factor from every room in this house with full lake views! Welcome to this 4000+ sq ft 4 bed, 4 bath, 2 kitchens, loft, 2 master en suites, full finished walk out basement beach front home. 1st floor has an expansive kitchen w/ custom farm house island, Corian counters, walk in pantry & ample cabinet space. In addition to eat in kitchen there is a large formal dining room with tray ceilings. The 2 story great room boasts an entire wall of floor to ceiling windows to showcase the beach & miles of Lake views. Dual sliders are accessed from this room that lead out to the 2nd story trek deck. 1st floor master en suite has vaulted ceilings, fireplace, 2 walk in closets, large walk in shower and dual vanities, your own private retreat. There is an additional bed & full bath to complete this floor. 2nd floor has loft overlooking the GR and lake, & additional master en suite with 2 person corner bathtub, dual walk in shower and tiled floors. There is a massive walk in closet with additional storage in a walk in attic. Full finished walk out lower level boasts a 2nd kitchen, bedroom, full bath & great room. 3 outdoor living/entertaining areas- Beach front fire pit & seating, walk out trek patio on the lower level with built in paver grill and a 2 story large trek deck. One of a kind corner lot with panoramic views of the Lake that boast amazing sunrise & sunsets. Maintenance free living with snow removal, & landscaping provided for you. Home warranty offered.